It’s been rather cold here, lately. Quite a bit colder than usual for us … and lasting longer than normal, as well. 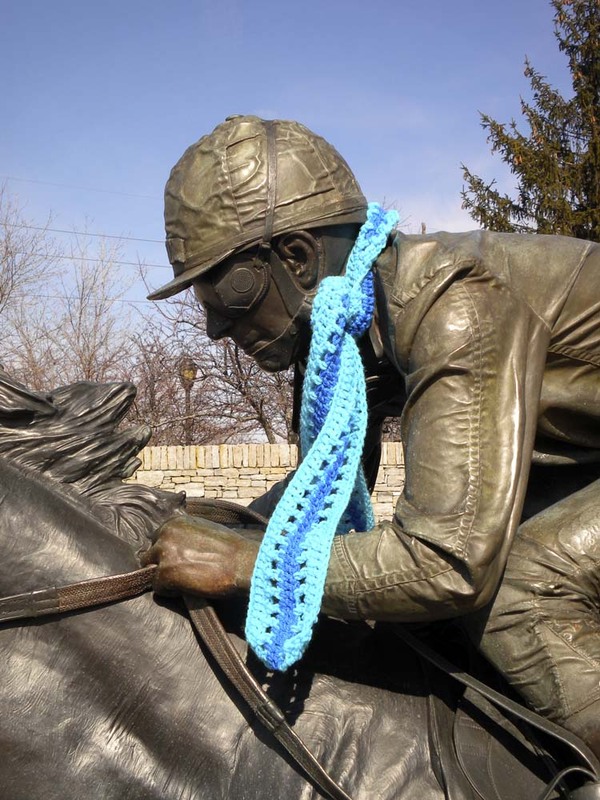 So to alleviate the chill … or just to lighten the gray mood … or perhaps just to have some fun and make people smile … “guerrilla knitters” have been hard at work here in Lexington. Early yesterday morning, A.J. and I drove through downtown on Main Street. 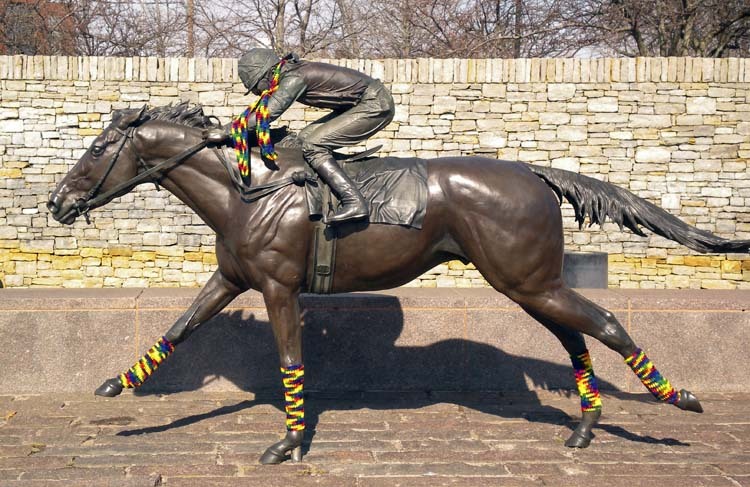 At the intersection with Midland Ave. is Thoroughbred Park, which features statues of grazing mares and gamboling foals on a small hill, and a group of race horses, going all out down the stretch. So, naturally, given the sunshine, I walked back down to Thoroughbred Park later in the day to take some pictures for you! don't they look wonderfully colorful and, um, warm? 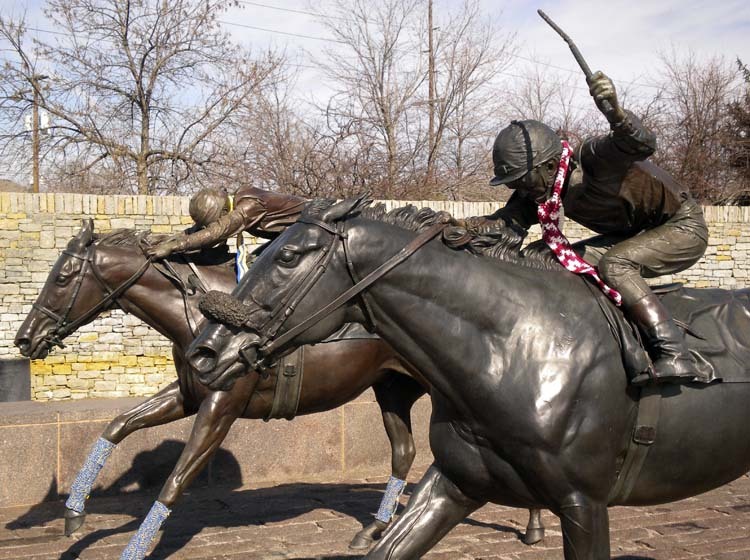 this poor jockey is perpetually in last place ... but he has a lovely blue scarf now!